Las Vegas is a great spot for adults, but there are also some incredible teen clubs there that are worth visiting. 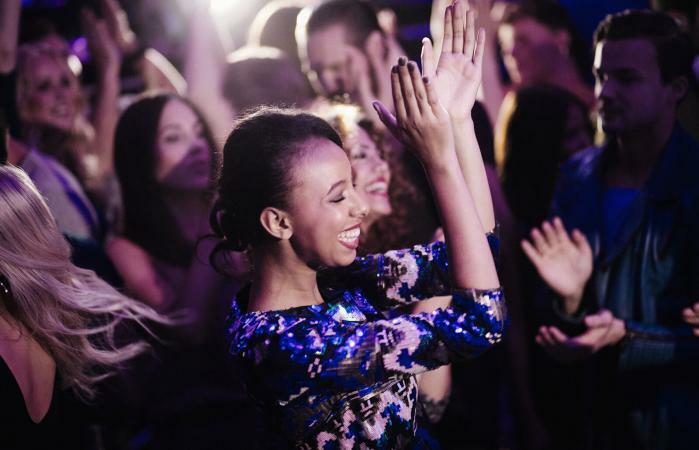 Whether you're going with friends or looking to meet new people, heading to one of these clubs is sure to be a fun time. Teen clubs are a safe venue for teenagers to socialize, make new friends, and have fun. These locations are places where both local teens and those who are on vacation can meet and have a place to hang out at night. Since you have to be 21 years old to gamble and can't access the clubs that are for the adult crowd, there are still many other opportunities for teens to spend a memorable night out. Club Frozen is a popular club for teen ages 14 and up that is open on Saturday nights from 7:30 pm to 2 am. They also offer private events for those 18 and up. The House of Blues at the Mandalay Bay periodically has live music for all ages. The Joint at the Hard Rock Cafe has guest DJs, shows, and caters to all ages at certain times. If you're still too young to head to 21 and over clubs, there are some great options for you to choose from. Cloud Nine Hookah Lounge plays dance music in a lounge environment. There is a small area to dance and they also offer movie nights. Havana Grill, a restaurant, also offers dancing Wednesday through Saturday. A DJ, as well as professional dancers, help get the party started for those under 21 years old. Know the dress code: Most clubs ask that you wear club attire, which means no sportswear or plain t-shirts, and more dressed up attire in general. Make sure you have a ride: Confirm with your ride the time that they will be picking you up when you get dropped off, or arrange to have an Uber or Lyft come get you. This way you won't have to wait outside for long. Get on the guest list: If the club has a website or phone number where you can reserve a spot on the guest list, you can surpass the long lines. Stay safe: Be sure you go with a friend or if you're heading out solo, let someone know where you will be. Follow all club rules: This means no drug use or alcohol, no fights, and following the guidelines if you need to get a parental consent form. Unfortunately, there aren't a lot of teen clubs in Las Vegas or in most cities, so many teens are left without enough options for exciting things to do at night. Where available, support all ages clubs. They are a safe place to hang out and provide a place where teens can create a strong community together.